Qantas has now stopped operating First Class to and from Hong Kong as of September last year, but I had reason to head up for a few days. 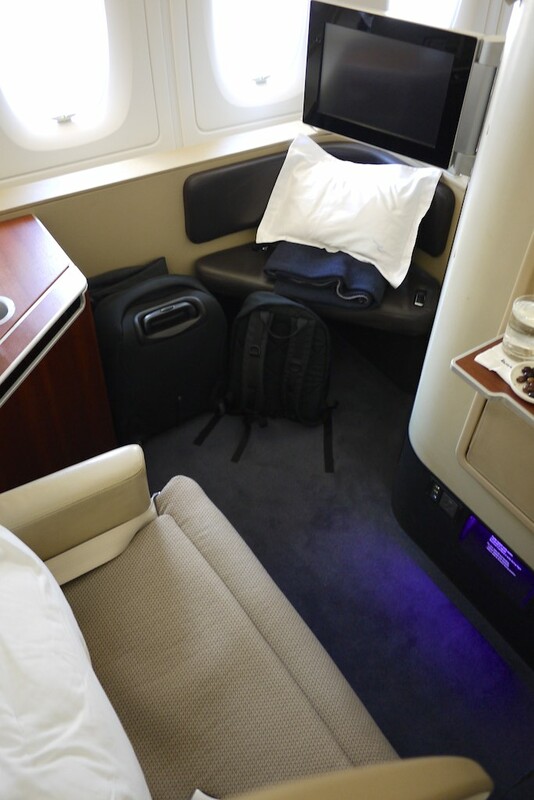 It happened to be in the last week of A380 operations and found myself sitting in First Class on the way up, thanks to an aggressive promotion which had Business fares with one-way in First priced more aggressively than Business in both directions. Go figure. I chose to fly First on the way up to Hong Kong to make the most of the Sydney First Class lounge and the daylight flight – and it was a great experience. 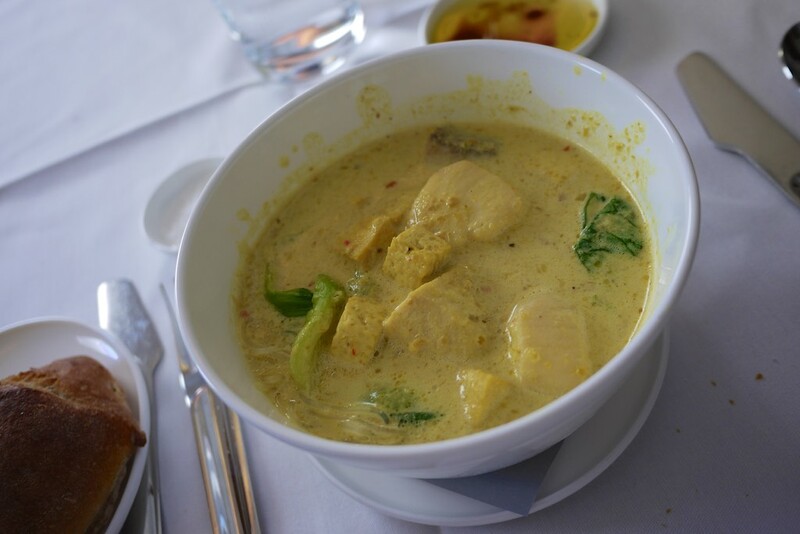 Read on for my thoughts on the lounge, food, service and the A380 generally. 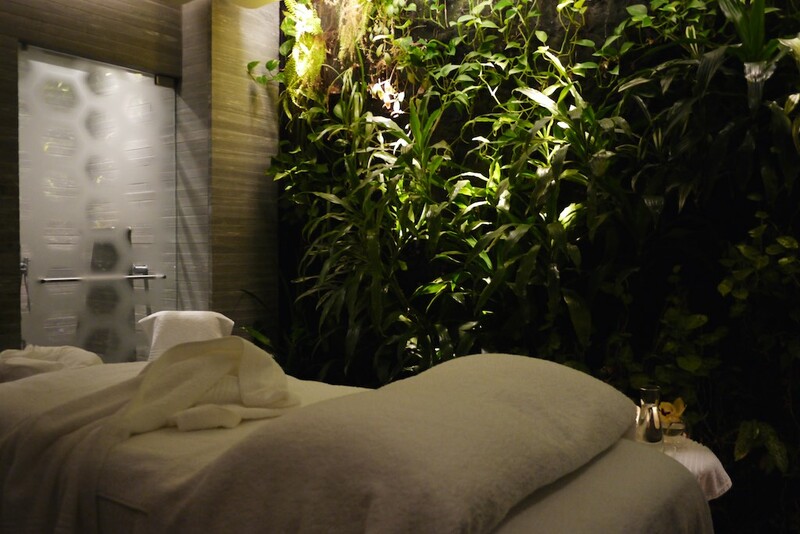 Around 24 hours before the flight I received a call from the First lounge hosts to book me in for a spa treatment. With that sorted, I showed up at the airport, headed through check-in and straight to the First Lounge for a spot of breakfast and a massage before the flight. 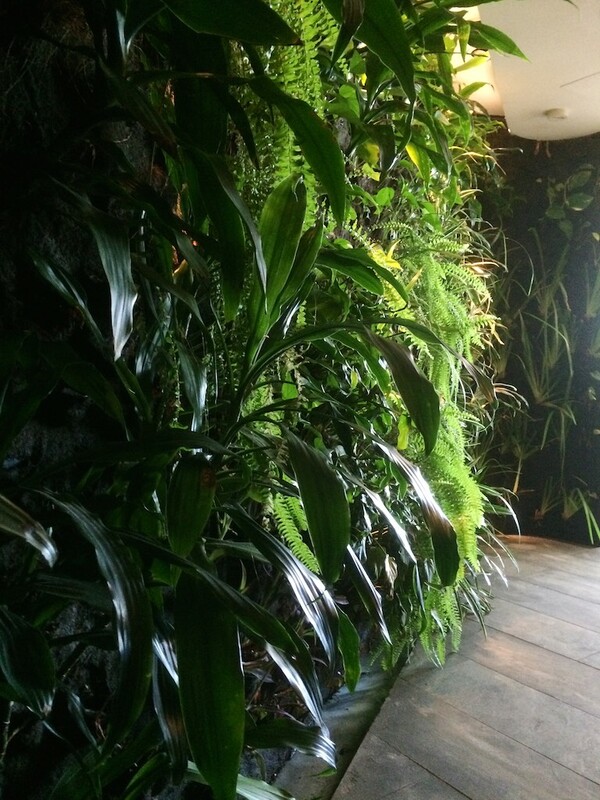 I’ve previously written a fair bit of detail about the First Class lounge in Sydney here, so check that review out if you want a full tour. The treatment was predictably great, and it continues to blow my mind that this is available in an airport. 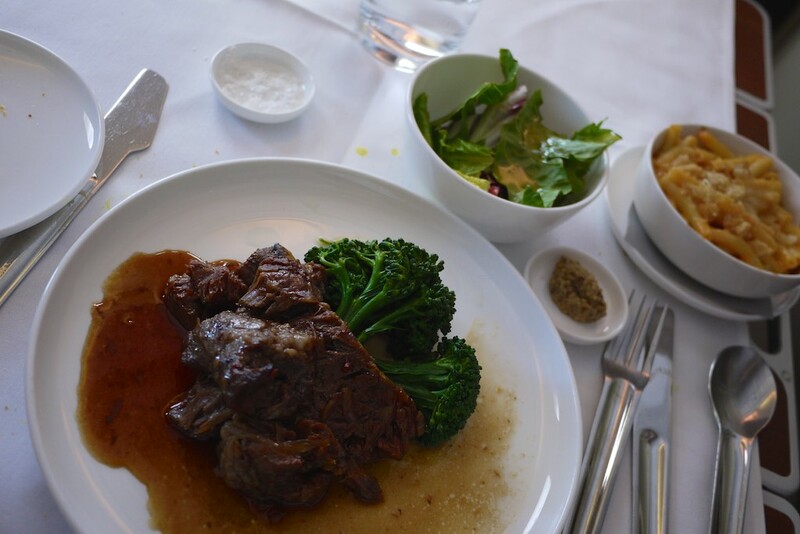 I didn’t grab any pictures of the food, sorry – the Qantas First Class is always a joy to experience and I’d leave home early just to spend some time there before a flight. 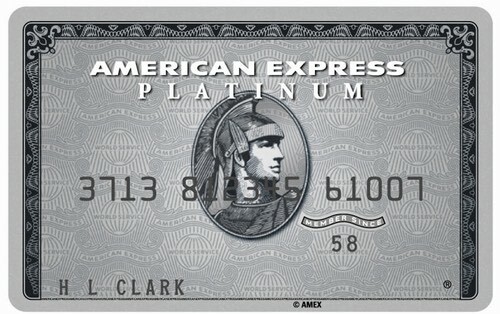 I have Qantas Platinum status this year which gives me access outside of First Class flights too, but I won’t get that renewed as I’m not flying Qantas enough, and I’ll sure miss it. Now, on to the flight. I settled down and grabbed this Panorama of the cabin before take off. From memory, I was in seat 3A. In the ‘A’ seats you have only the passengers in your row also using the aisle, given that the centre row passengers use the right-hand aisle. 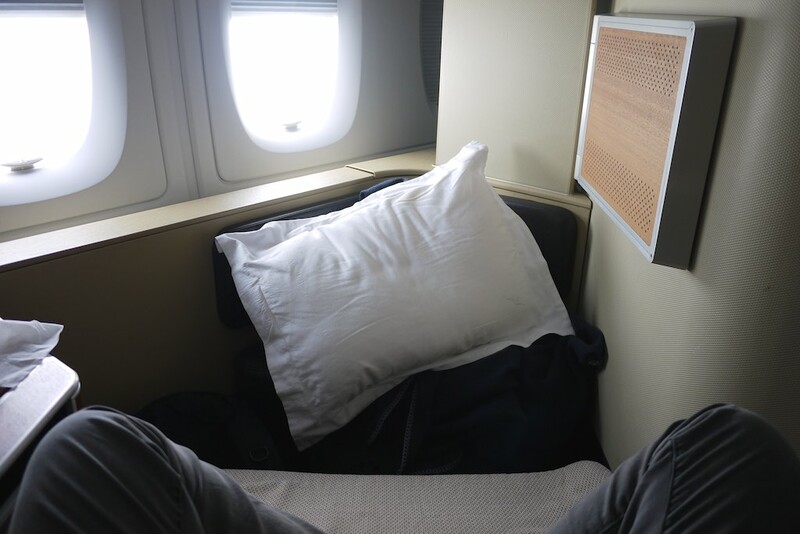 The amount of space in the Qantas First Suite is always remarkable, but since Cathay Pacific installed their amazing herringbone Business Class in their fleet, the gap between their Business and Qantas’ First is significantly narrowed. In fact, one of the only reasons I found myself on Qantas was because this flight was booked just 2 days beforehand, and Cathay were sold out in Business on any sane routing. 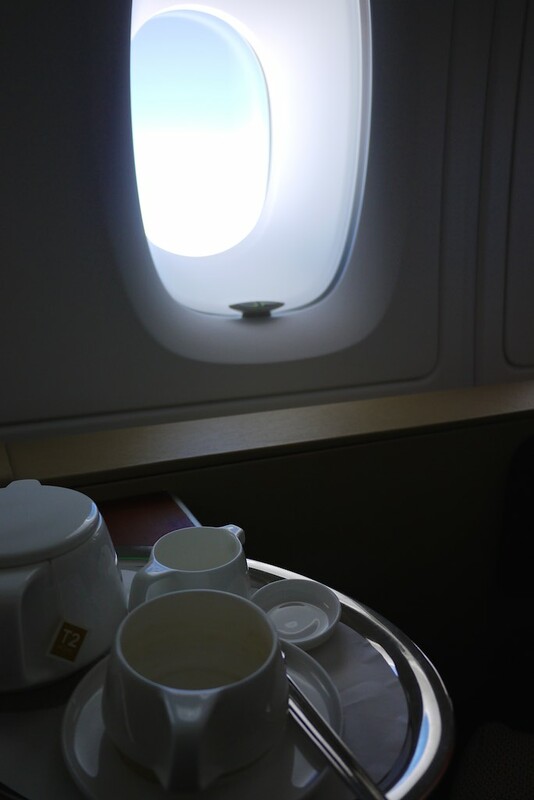 Cathay Pacific Business Class was to be my primary comparison point for this flight in terms of seat, food and service. 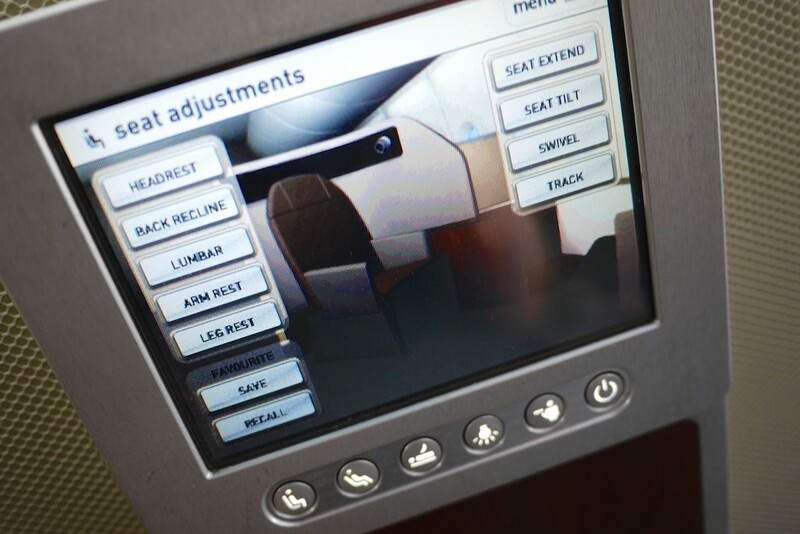 From a seat point of view, the Qantas First Suite is comparable in configuration to Cathay’s Business Class seat. 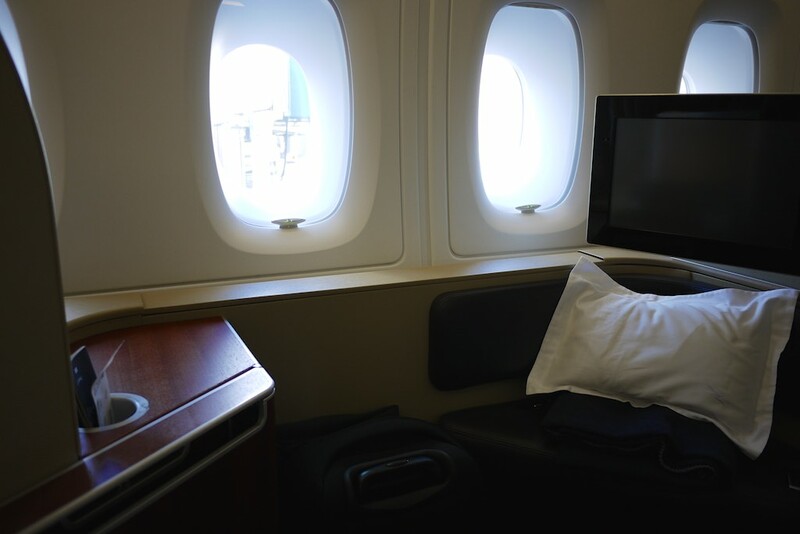 There are a couple of key differences – the forward-facing (and restricted legroom) take-off and landing position being one, and the additional width that the Qantas First Suite understandably offers over the Cathay Business seat. A seat is definitely wide enough when, at 6’ 2”, you can cross your legs in it. I’m a fan of the Qantas aesthetic, with wooden and leather tones over bling, as evidenced by the ottoman / dining partner sitting area, and the various fixtures and fittings around the seat. 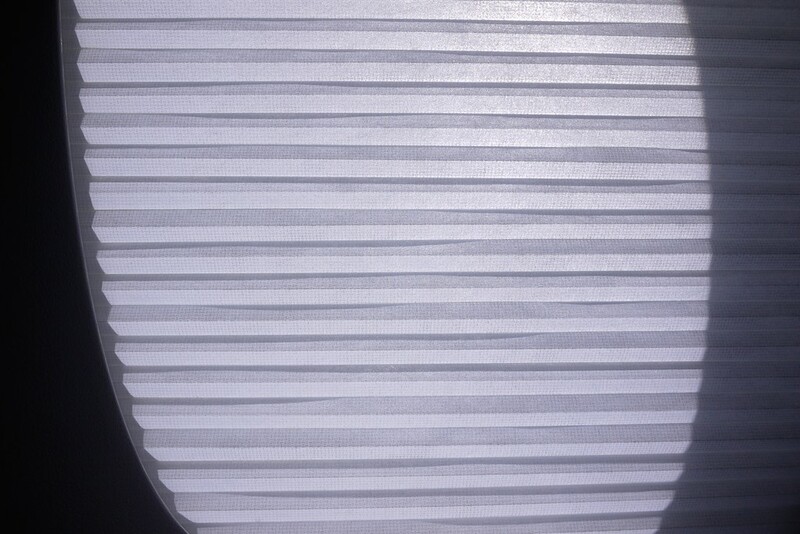 I’m also a big fan of the paper blinds which operate on remote control between the inner and outer windows. 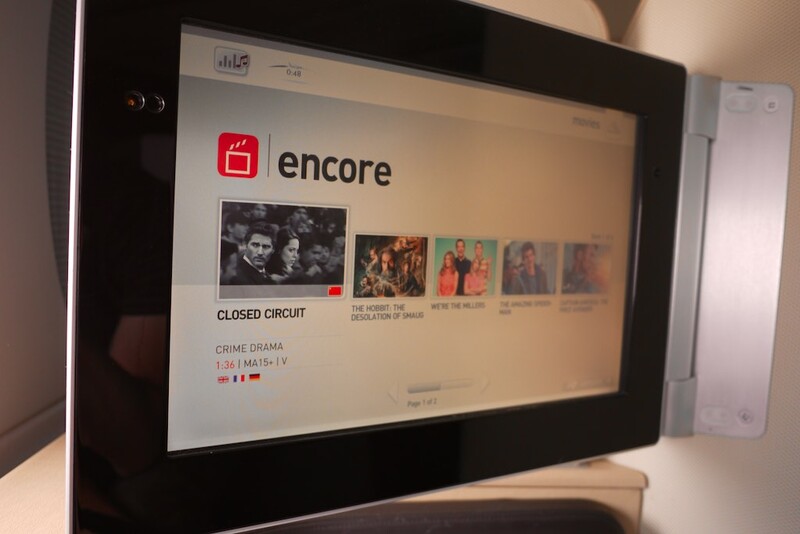 I do find that the finer seat controls being buried in a digital menu to be a victory of form over function, as they take too long to find and with the slow response of the touch screens on Qantas’ A380s (which are generally beginning to age), are fiddly to use too. Initially I took up the offer of some Tea to get me started, which was served with a pot and milk – enough for a couple of cups at least. I kicked off with the Snapper Laksa, which was excellent, and super-spicy. From there, I moved onto the Braised Beef Cheek (very tasty) with Mac and Cheese (not so great). 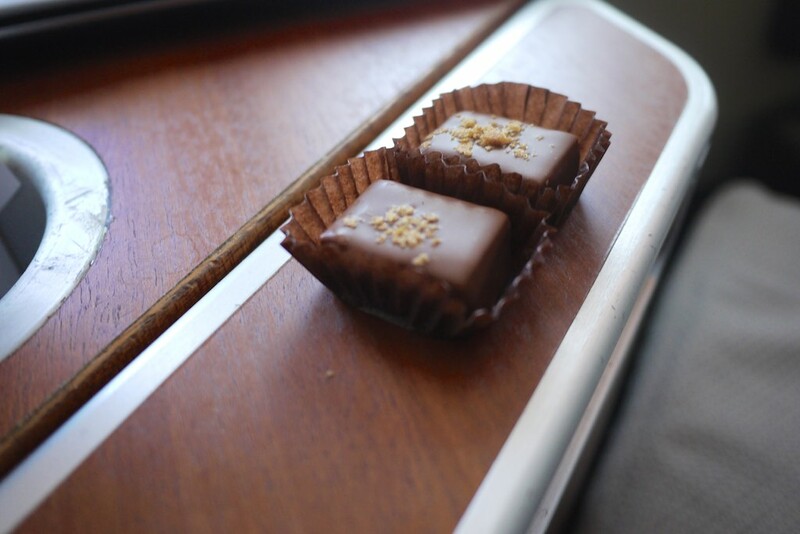 Before rounding it all of with a Caramel Crème with Strawberries desert, and some chocolates. 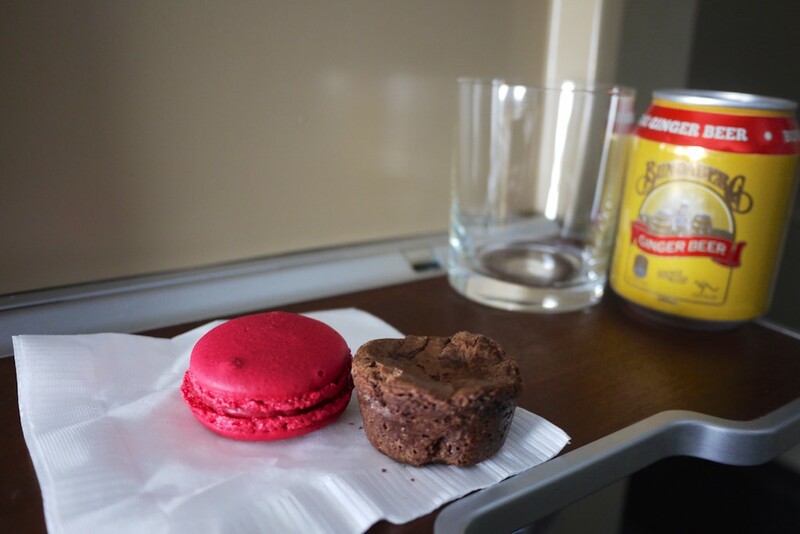 A little later in the flight I picked up some macarons and a brownie. 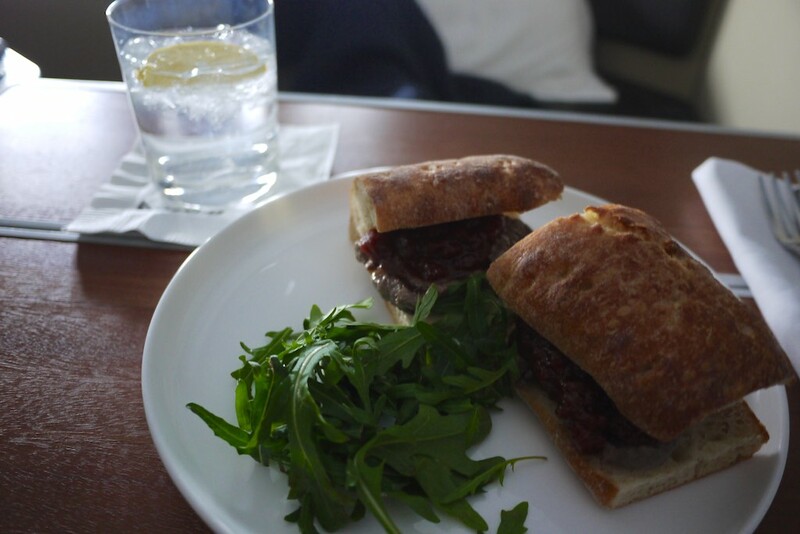 And then a couple of hours before landing, I ordered the Signature Steak Sandwich, which was also excellent. All up, the food on this flight was very good, with the exception of the poor Mac and Cheese side with the Beef Cheek which was just lacking any kind of useful flavours or textures to work with the Beef gravy. An odd pairing. 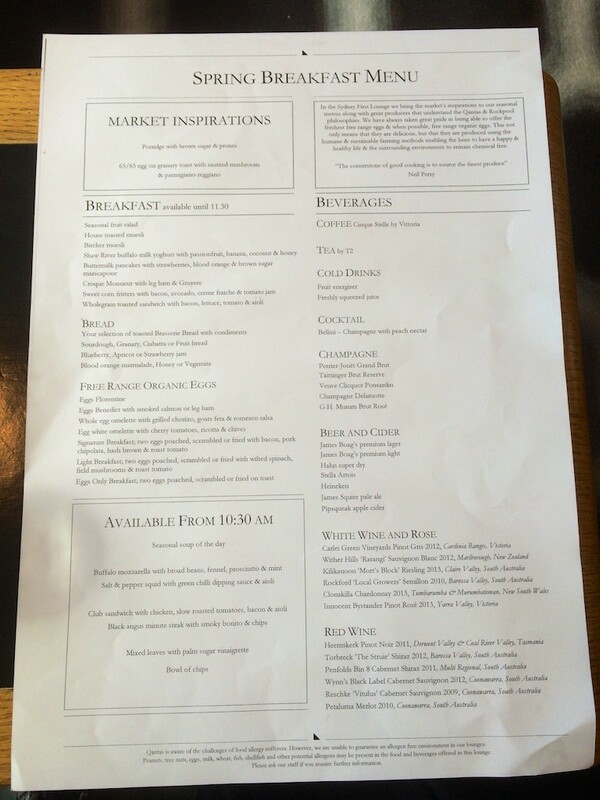 The service wasn’t memorable in any way – good or bad – either. Firstly, it’s a massive shame in my view that Qantas no longer operate the A380 to Hong Kong. 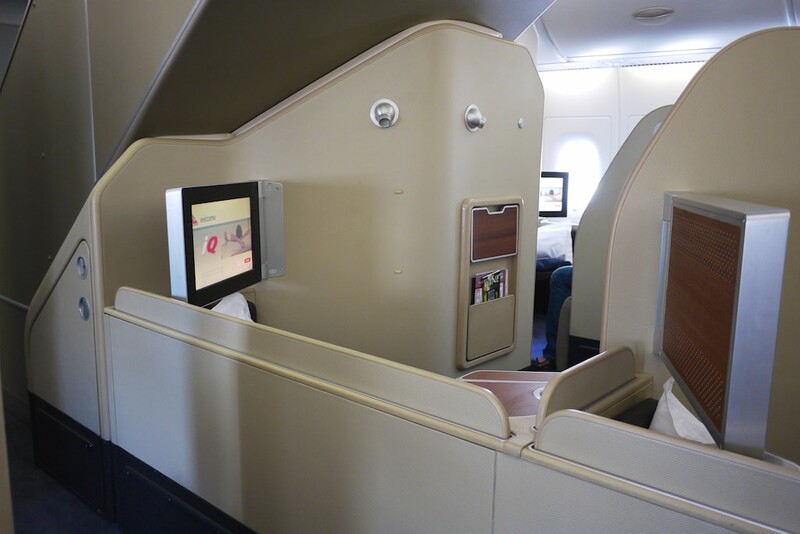 The opportunity to redeem, or upgrade, to travel in First Class using points has gone, and the refurbished 747s and old A330s that now ply the route have nothing special about them to me. 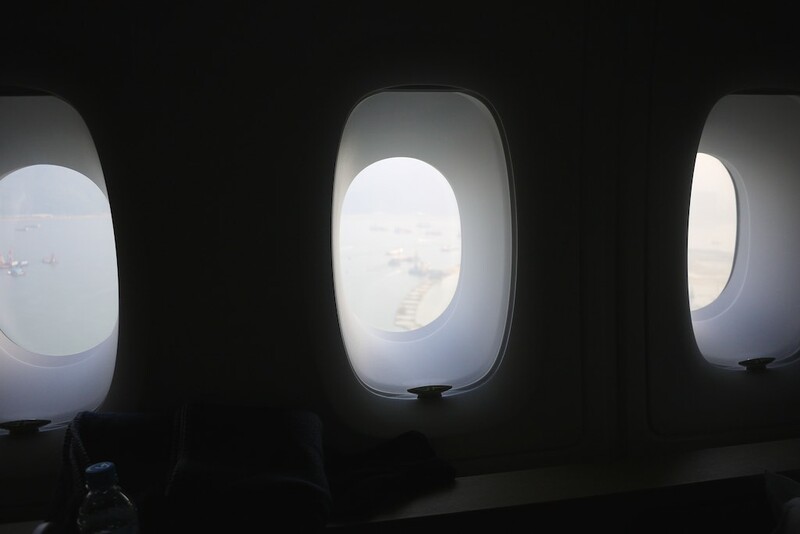 I was fortunate to be able to fly the A380 in it’s week of operation up to HK, and for the first time in First Class too. 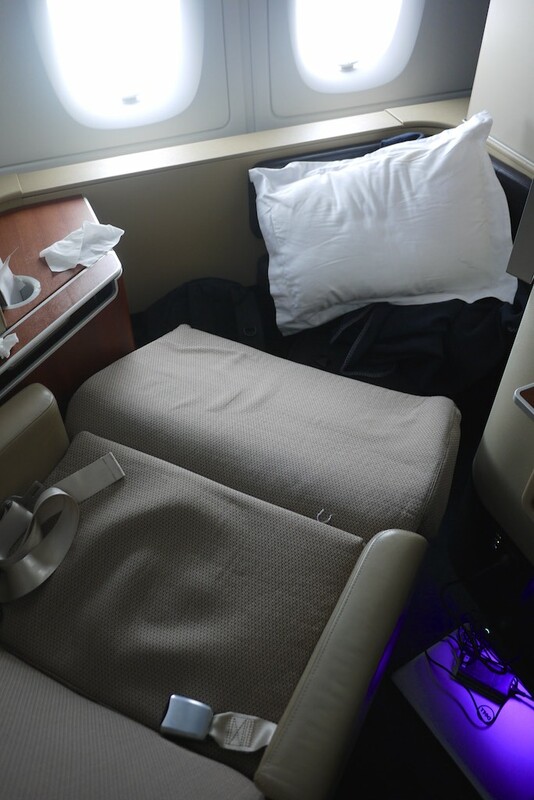 It seems like I have a habit of flying Qantas First Class on routes that they take it away from, having flown Melbourne – Singapore previously too. This flight specifically was really solid – I had heaps of room, ate a ton of good food, and was treated well by the crew. 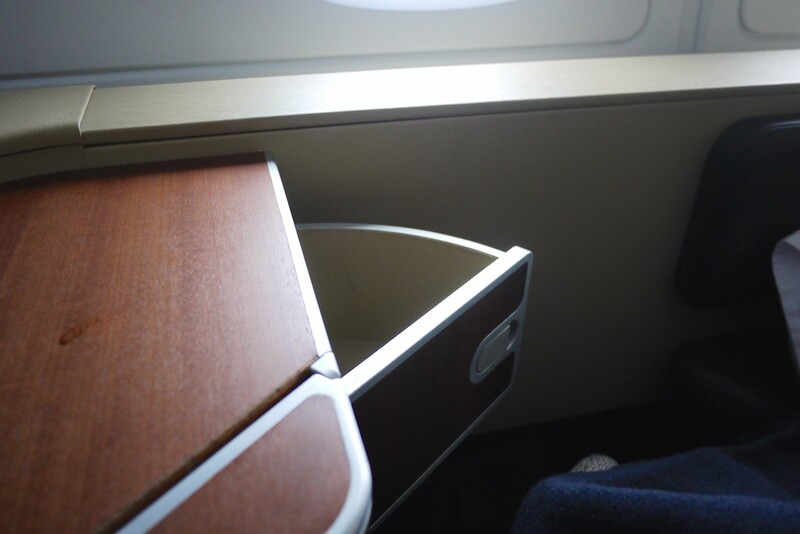 Some other passengers in First did spoil the experience a bit by talking incessantly in the seat behind me for a couple of hours – they were worse than the parents of 3 kids, one 6 months old, who were spread around the cabin. 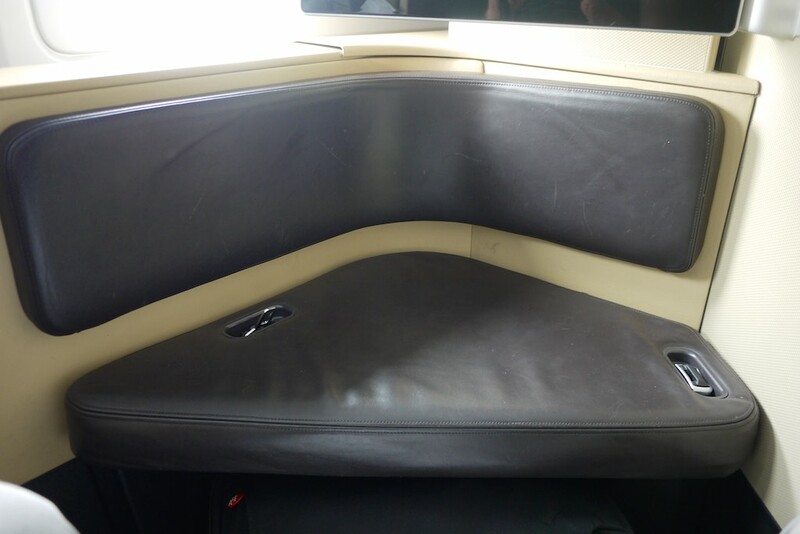 You can tell if you re-read my previous review of Qantas First Class that my conclusions are the same as a couple of years ago – in summary, some good food and a slightly bigger seat do not make a compelling reason alone to choose Qantas First Class over some of the other products on the market. Qantas have two key routes on which they operate the A380 now – Melbourne/Sydney to the USA and Melbourne/Sydney to London. 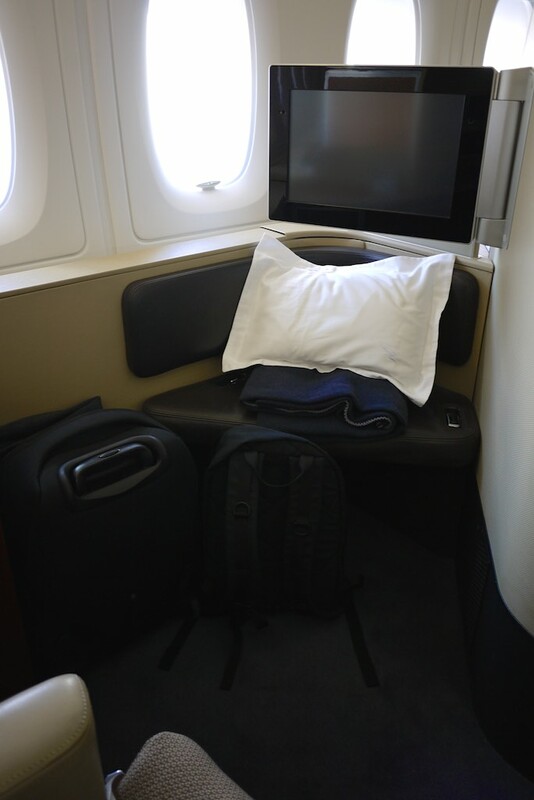 On the US flights, there’s no competition – the best product, on the most direct route, is Qantas First Class. 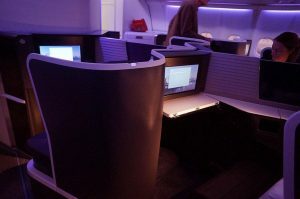 However the European flights have First Class competition from a range of airlines, most likely with better hard (seating) and soft (food and service) products, with the likes of Singapore Airlines, Etihad and Emirates all vying for your business – and all three relatively attainable using points too. It makes me wonder what the future for Qantas A380 First Class, and Qantas’ A380s in general will be, as some elements of the A380 experience are starting to show their age. 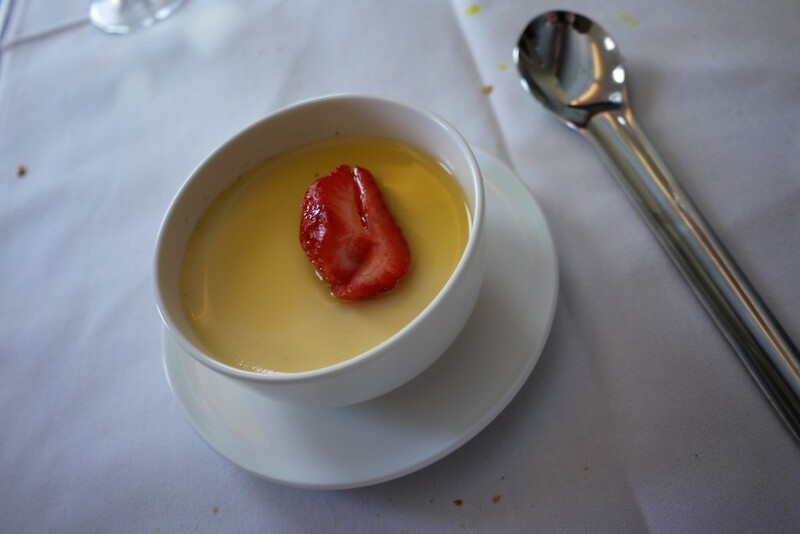 All up though – if you get the opportunity, don’t hesitate to spend your points on Qantas First Class if you have them. It’s a cut above Qantas Business Class, and if you can upgrade or redeem into First, you should.